Digital Future invests $350k in Replyapp.io, a solution that increases sales productivity with automation of customer emails and follow-ups, providing a wide range of personalization tools. WannaBiz joins the offer with $50k. Replyapp.io, a solution that offers a high level of sales productivity via the automation of the customer emails and follow-ups, will benefit from the smart money investment from Digital Future and its expertise to develop the product and expand its sales on the international market. Oleksii Vitchenko, CEO of Digital Future: “We quickly understood the value of this startup, after our portfolio companies The App Solutions (development of mobile apps) and Digital Bee (digital marketing agency) have tested this service, which resulted in the increased sales and improved customer service. We decided to invest in the project because Replyapp.io works much better than the similar services in the same niche. We believe in this project so much that we doubled the investment amount they asked for and offered $400k”. Replyapp.io is designed for the sales managers to handle cold emails while reaching out to the client for the first time. Also, the system can automate the process of sending the warm emails - when there is already an established dialogue with the customer. Advanced personalization tools and features help create a unique customer experience that encourages the clients to take action. “In the past six months, our sales increased by 30-50% per month. While we were at the interview with 500 Startup and Y Combinator, we could continue to grow on the revenue generated from the clients. Right now, our market is very competitive, that is why, if we want to retain our positions, we need to work ten times faster. It would not be wise to wait for our revenue to rise, so that we expand without the investments, on our own,” says Oleg Belozor, the founder of Replyapp.io. B2B sector is now going through the repetition of the cycle. Inbound-marketing, which came into place instead of the cold calls, is not so popular now, because the Internet is oversaturated with the content, and the competition in the inbound marketing only grows. Nowadays, the direct sales supersede the inbound-marketing. “Targeted personal emails provide an opportunity to build a predictable sales funnel, and consequently, increase sales several times,” mentions Oleg Belozor. According to Oleksii Vitchenko, Digital Future offered an investment proposal over a year ago, but at that time, Oleg Belozor had no vision on how the investment can boost the development of the business. However, the participation in the SaaStr Conference in San Francisco resulted in the further plan of how to use the investments to speed up business growth. 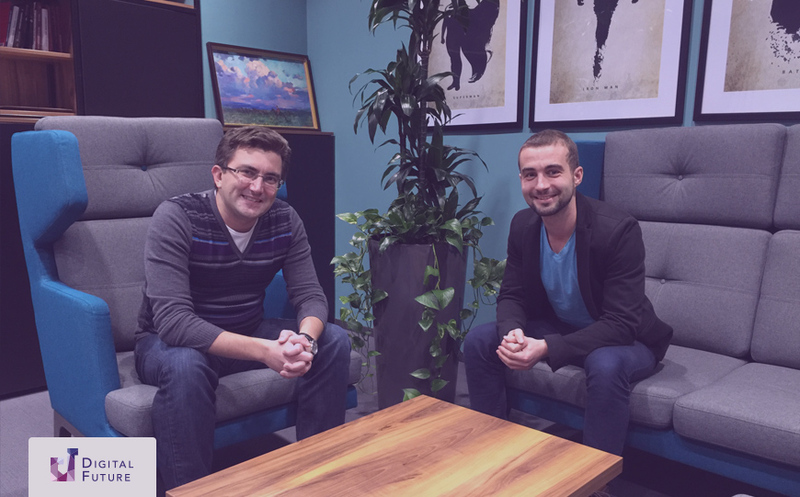 While at the Silicon Valley, Oleg got acquainted with Artem Borodatiuk, the co-founder of WannaBiz, who supported the project. “We joined efforts on this deal because I like the ambitions of the project’s founder, focus on the details and further expansion goals. Moreover, the project fits our strict investment criteria: the quick growth of MRR, and focus on the US market” comments Artem Borodatiuk, the co-founder of WannaBiz. Digital Future is an investment company that offers smart money to the startups, conquering the global market. Digital Future was founded in 2014 by Oleksii Vitchenko, an entrepreneur with over ten years of experience in e-commerce and digital. WannaBiz is a fund focused on the international projects with steady revenue that have passed the Seed funding stage. Investment focus includes adTech, b2b, and SaaS. Wannabiz was founded by Vadim Rogovskyi, Aleksandr Borniakov and Artem Borodatiuk. Replyapp.io is a service for the sales managers that automates personalized emails, follow-ups and increase sales productivity. Founded in August of 2014 by Oleg Belozor.